The human dermis is surprisingly good at healing itself. If given the right care and enough time, this protective covering can undergo remarkable improvements regarding overall tone and texture. Advances in modern cosmetic treatments have also provided some ways to speed these healing efforts up. Procedures for skin rejuvenation after sun damage are additionally making it possible to reverse the effects of skin issues that were once considered permanent. One of the surest ways to expedite the body’s repair efforts is to cause more damage. Commonly referred to as controlled damage, it is accomplished in a very non-invasive, safe and modest way. The procedure involves the removal of dead and aging dermal cells that are at the topmost layer. In turn, the body begins to generate new cells. Certain treatments are a bit more aggressive; these are the ones that are used to address sun spots, moderate acne scarring, and enlarged pores. Rather than merely removing some superficial cells, treatments like these might abrade or erode one to two original layers leaving the treated area reddish and more vulnerable to the sun for several days, but as healing occurs, the resulting improvements are incredible. One such method is called dermabrasion. 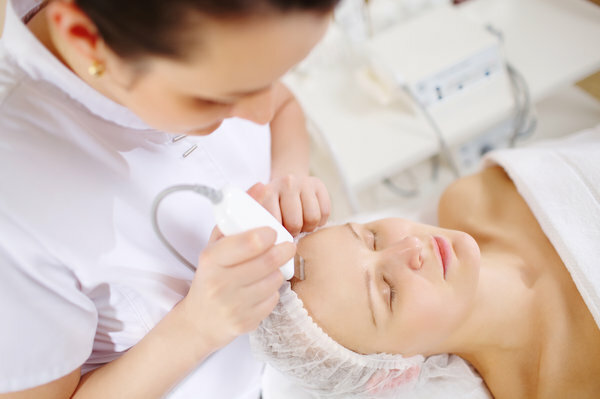 Dermabrasion uses finely ground, coarse granules to stimulate the remove of dead skin. The treatment usually performed with a handheld tool. Dead skin is vacuumed away, and the face is cleaned and moisturized. The entire procedure takes about 30 minutes, and healing takes between seven to 14 days. Chemical peels produce similar benefits, but these are performed with special acids that dissolve damaged dermal cells. They are also rich in antioxidants and other nutrients that support the health and integrity of the dermis. Both of these treatments are non-invasive, meaning that the provider will not perform any incisions or remove any tissue. They entail minimal risk and are capable of producing phenomenal results within a very short period.